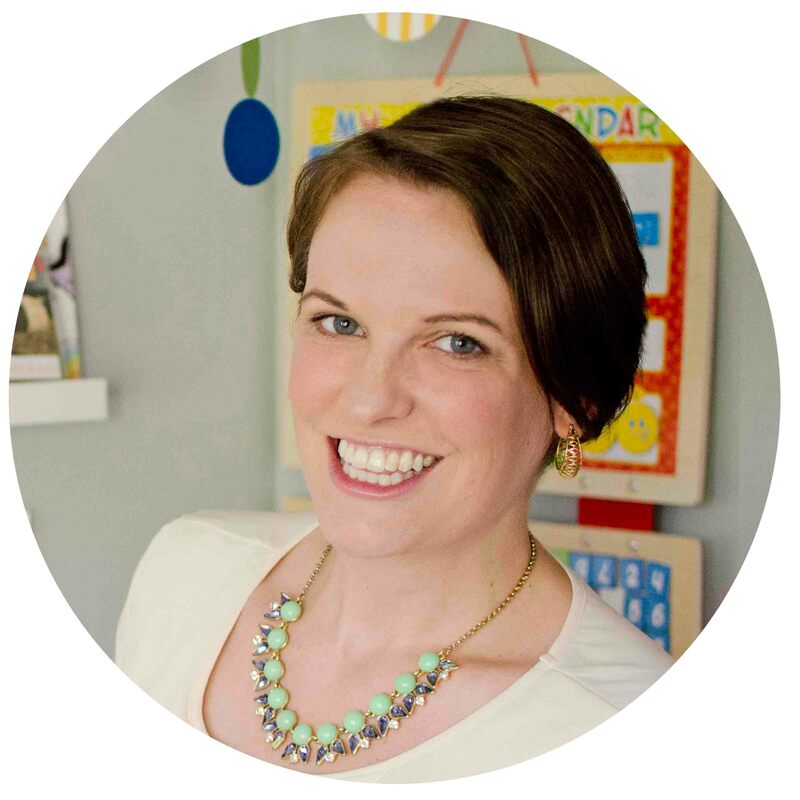 Inside: Why is sensory play important? For starters, it teaches children more than you’d expect. From life skills to pre-math skills to self control – sensory bins teach. I see you shuddering. I see you shaking your head at me. I see you thinking I am nuts for setting a 4 lbs bin of corn meal onto my living room floor – and I get it. Sensory play looks a bananas from the outside. Let’s take an already prone-to-messes tiny human and give them a giant box of mess with an open invitation to make more messes. Obviously, a few things could go wrong if you aren’t totally prepared for a sensory bin activity. 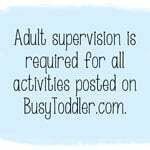 But… you for sure saw my posts on introducing toddlers to sensory bins or the one on how to set up your first sensory bin so you know this sensory activity will be just fine. 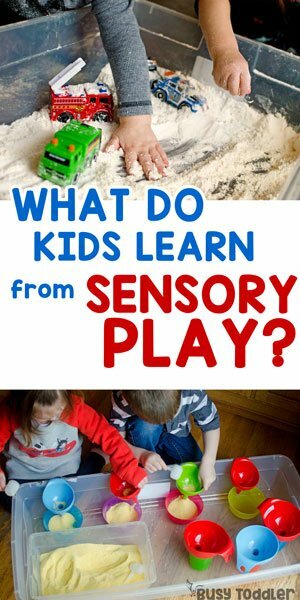 Why is sensory play important for kids? My initial response of “because it’s everything” probably isn’t going to cut it, huh? So I’m going to peel back the onion layers of this donkey (I mean activity) and give you all the whys on sensory play. 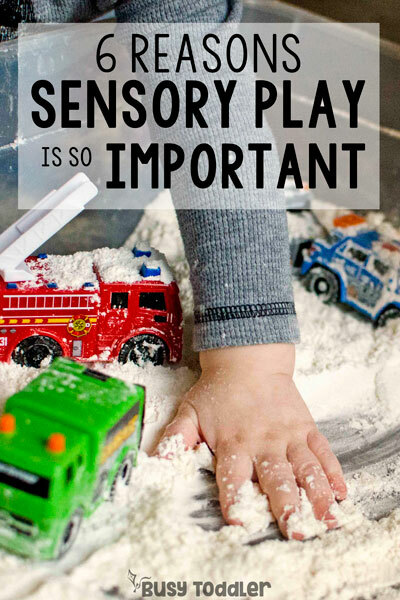 Because sensory play is so valuable. This is an easy one: sensory bins are a tactile way to learn. It even says it in the name: sensory. The foundation of sensory play is play with our senses aka tactile learning. When a child is playing with a sensory bin, they are using multiple senses to learn about the world. They’re seeing how the rice moves, hearing the way corn meal sounds when it pours, and touching all parts in the sensory bin. If the bin has a scent – they’re learning through smell. If it’s taste safe (like this Jell-O party I threw once), then they are licking and learning too. 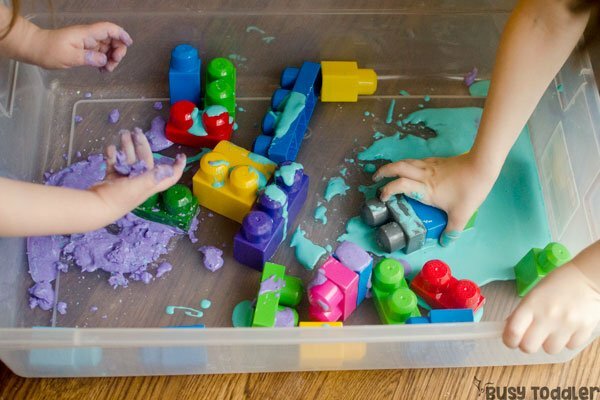 A big part of sensory bin play is the life skills they teach. Life skills is a fancy way of saying “the skills your child will need throughout their life”. In sensory bins, that’s things like scooping, pouring, and dumping. 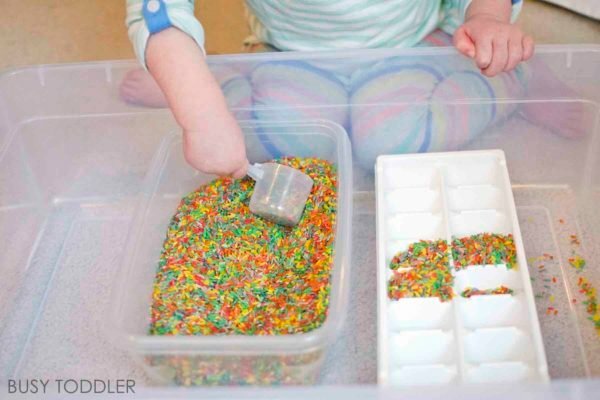 Sensory bins teach spoon skills and transferring skills, as well as helping kids learn the best ways to fill certain containers. Think about a toddler sitting with a rice bin, scooping and pouring rice into containers. This toddler is learning about measurement (capacity), about estimating, and spatial awareness (the understanding of one object in relationship to another). Sensory bins might seem like just bits and pieces of a future mess waiting to happen but it’s not. It’s some serious learning. 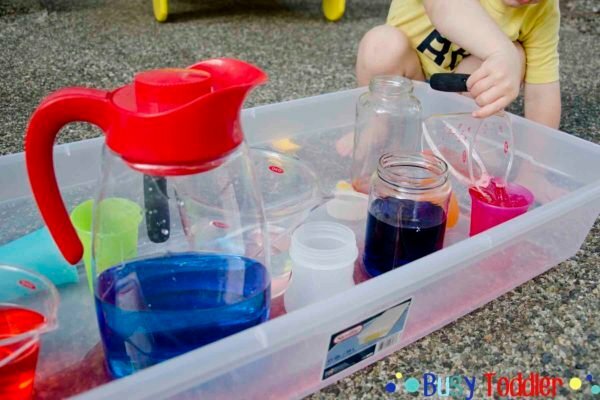 Sensory bins are my favorites for independent play and pretend play. 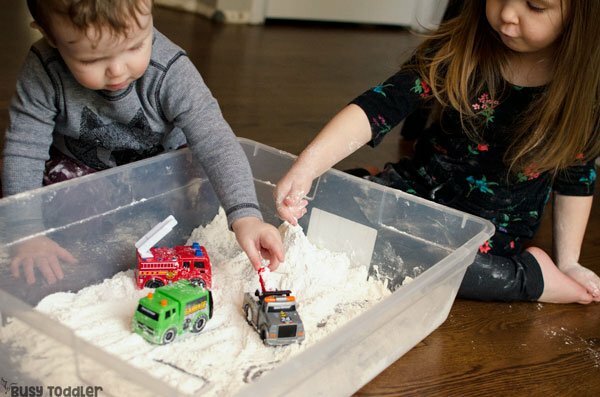 Children concentrate and focus during sensory bin play in a much different way than when they are using toys that tells them what to do (think video games) or how to do it (think light up toys that talk and ask questions). A sensory bin is child driven. The child directs the play, imagines the situations, and determines the tasks. Sensory bins provide the most amazing opportunity for truly independent, uninterrupted play. 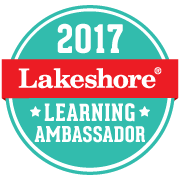 It’s also why I stand way back when my kids are playing with a bin – I don’t want to disrupt the learning that’s going on. Think of all the work a child does with their hands during a sensory bin. The moving of fingers, the grip of their hand, the coordination with their eyes to make it all happen. Compare that to using an iPad. It just isn’t the same. 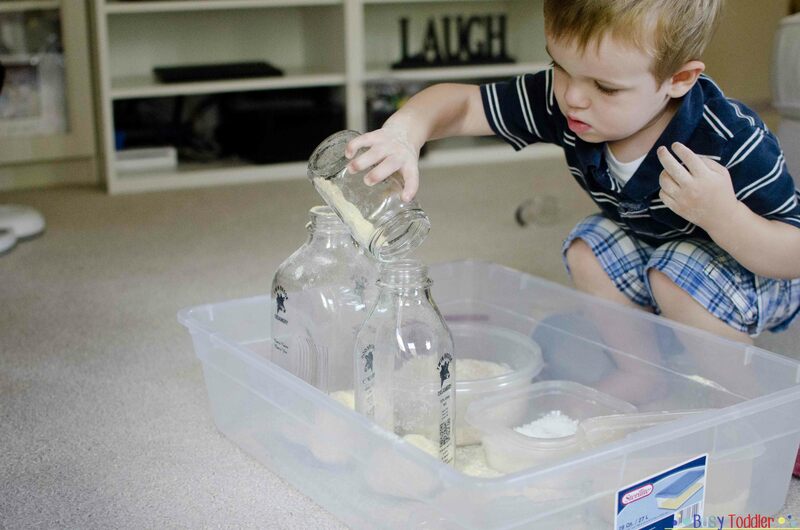 Sensory bins build motor skills in a way that technology simply cannot. When my children are playing with a sensory bin, they are following a set of rules / guidelines that we have in place to keep sensory bin play safe and “relatively” mess-free. Keep stuff in the bins. These aren’t Earth shattering rules but they are still rules. Boundaries. And my kids play within them. Sensory bins give my children an opportunity to follow the rules. They might have the impulse to throw the rice, but they stop. They know the rules. They might have the urge to stick a bean in their mouth. They stop. They know the rules. Sensory bins are a safe place to instill self-control. To work with something so exciting, but to remain in control of your body. Sensory bins give us a low stakes playing field to practice following the rules (as in, if they break these rules, it’s unlikely anyone will get hurt. Super low stakes.). Rules are a part of the real world. Despite my impulse to drive fast on the freeway, I have to follow the rules. And sensory bins provide a really great practice opportunity for rule following. Sensory play is an important part of childhood. It is never too late to start sensory bins with your child. My 9 year old neighbor wants you to know that – he loves a good rice bin. The bonus, the lottery win, the amazing part of sensory bins is that while they’re learning all these things – you’re probably getting to sit for a second and just watch. Not playing, just being there. Loving the view of happy children learning so much from something so basic. So come on – grab that bin of cornmeal and set it down. Don’t shudder. Smile. Your child is about to learn so much. 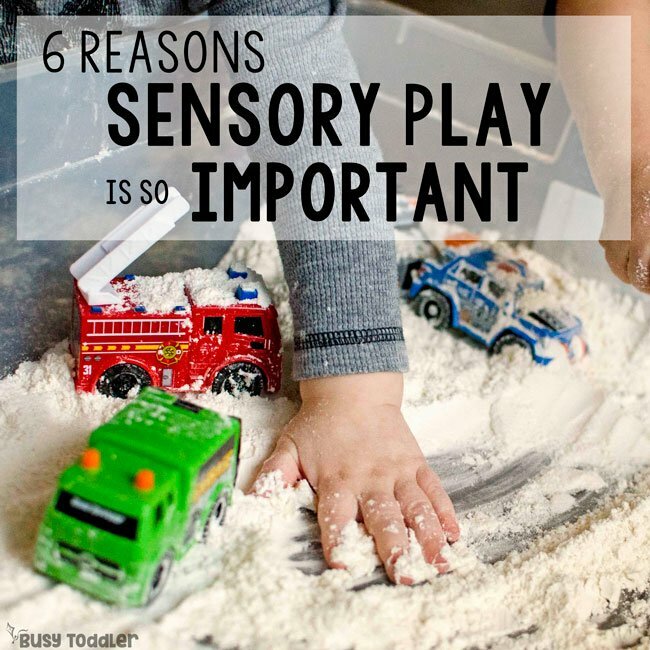 Why is sensory play important to you? My little one does a lot of sensory play at the nursery but I never had the thought of replicating that at home. Love your ideas (from the photos) so will definitely give it a go. Thanks!!!! Oh my goodness, thank you for this post! I hadn’t thought of…well, any of those reasons, really! I’ve been hesitant to do sensory bins with my two year old but perhaps it’s time to take the leap! Your kiddos always look like they’re having so much fun! I’m so happy to have found your blog months ago! With your nudges and reassuring words, we use our sensory bin frequently and recently gave one to a friend as a gift. Thank you for what you do, we appreciate it.